Over the past few decades as technology has advanced at a rapid rate, businesses have learned to adapt digitally, out of necessity to remain relevant and provide the best service possible. This undertaking by businesses to stay up-to-speed with technological advancements is the basis of digital business transformation. But before you can adapt to the latest and greatest, you’ve got to ensure that your business has the digital backbone to support new technologies and provide your employees with the tools they need to do great work. Maybe you find yourself constantly frustrated with your current technology stack, whether from dropped calls, slow connections or poor customer service. Or perhaps you don’t feel equipped to lead the charge on taking your business on a journey of digital transformation. Either way, in the customer-centric and digitally-driven world that we live in, it’s essential that your business’s digital efforts are always at peak performance. The right network and infrastructure is an essential foundation to fully leverage the changes and opportunities of digital technologies. Take our digital transformation quiz to find out if you are prepared for a digital business transformation. 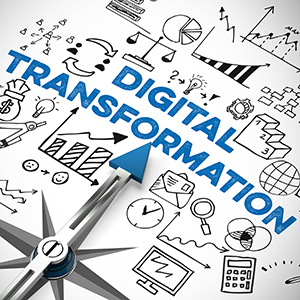 TDS is here to provide your business with the smooth transition by offering the tools needed to effectively support this digital business transformation. Services ranging from high speed internet for business to business voip services come with the best customer support from local experts, 24/7. Learn more about digital transformation and get in touch with a TDS expert who will give you the tools you need to get started today. You’ll be confident in your connection and ability to take on the next steps of digital transformation for your business.